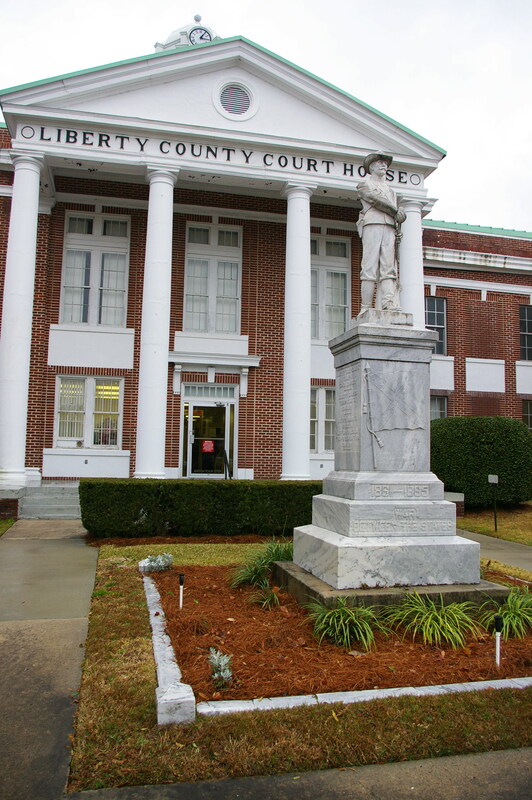 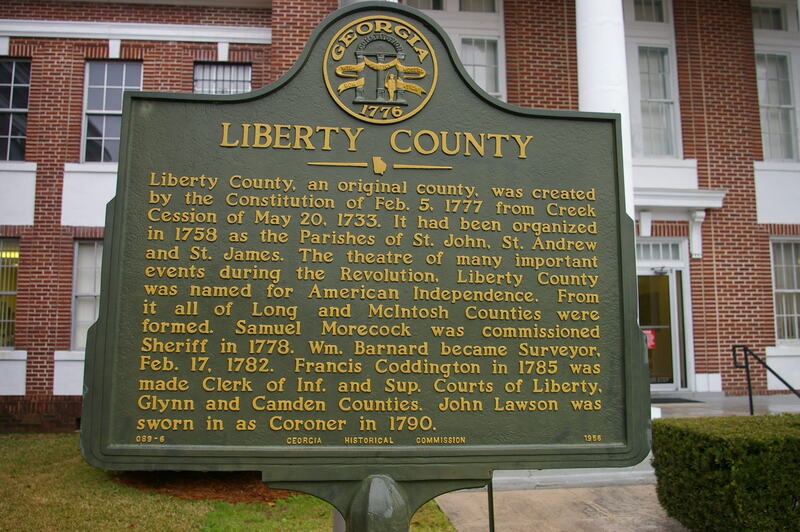 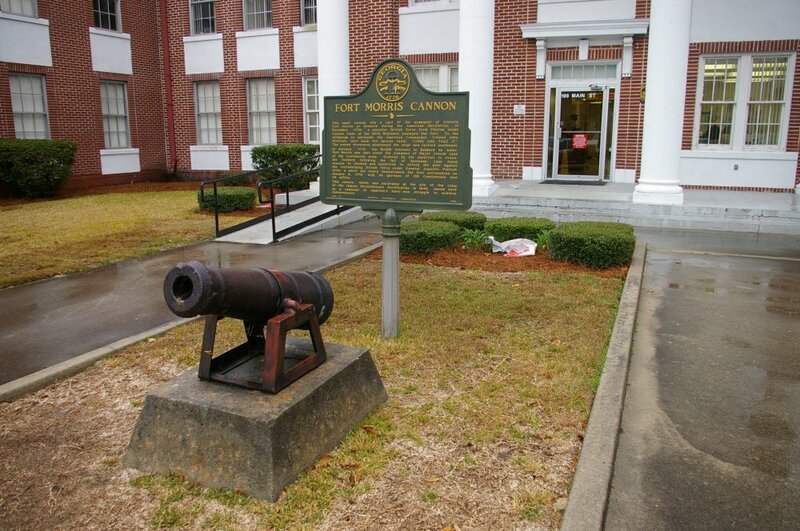 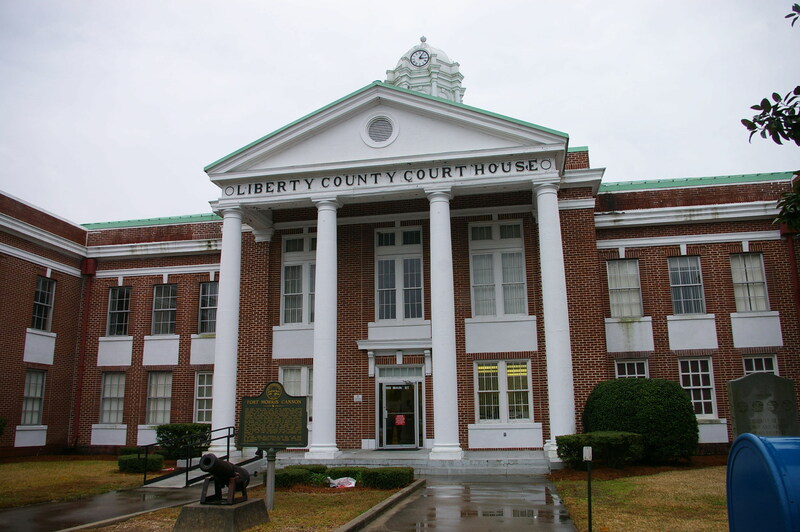 Liberty County is named for the right of freedom and liberty. Description: The building faces west and is a two story red colored brick, stone and concrete structure. 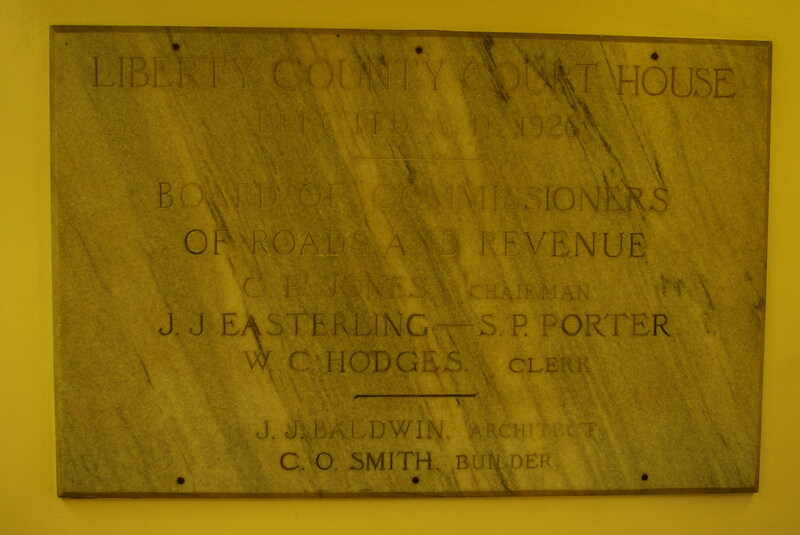 The building forms an “H”. 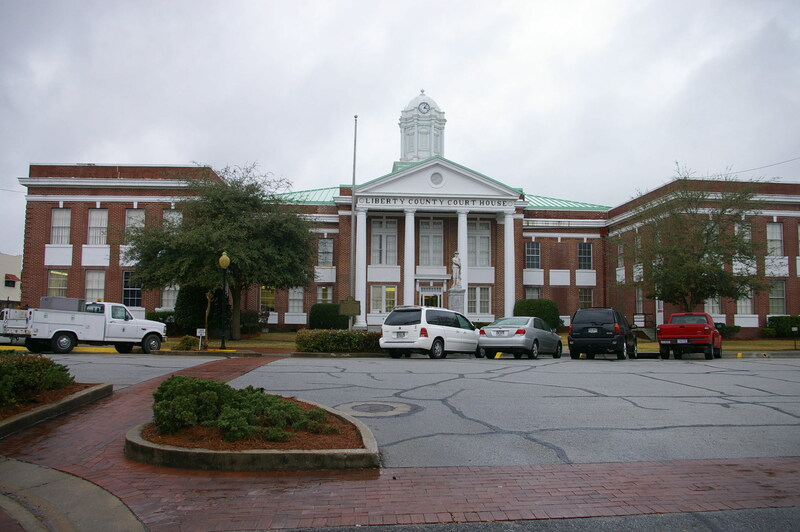 The east and west porticos have four white columns rising to pediments at the roof line. 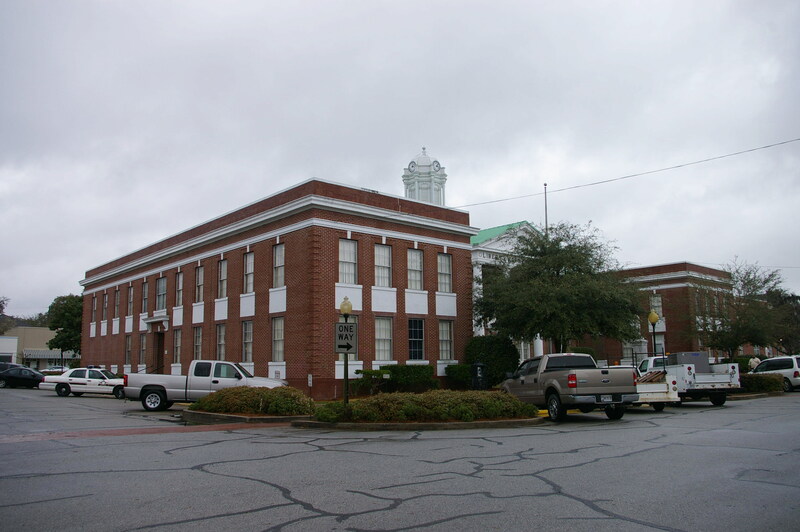 White panels are between the windows on the first and second stories. 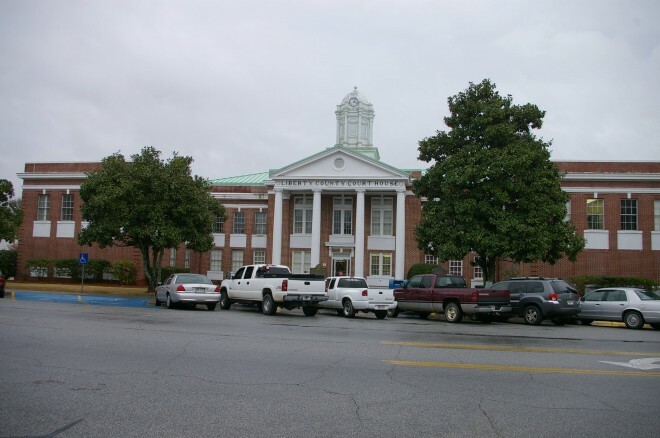 On the center of the roof is an octagonal white cupola. 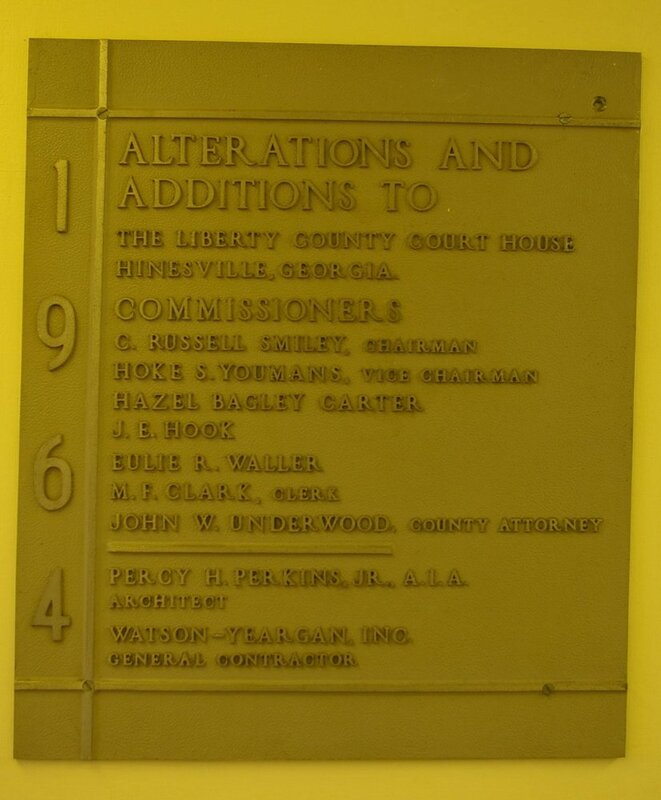 In 1964 alterations were done. The architect was Percy H Perkins he contractor was Watson-Yeargan Inc.